To check what objects are on the ignored list run Update documentation wizard and go to Select objects to import tab. Ignored objects will be displayed on the list with 'Ignored' status. Note: this list only contains objects that exist in the database. 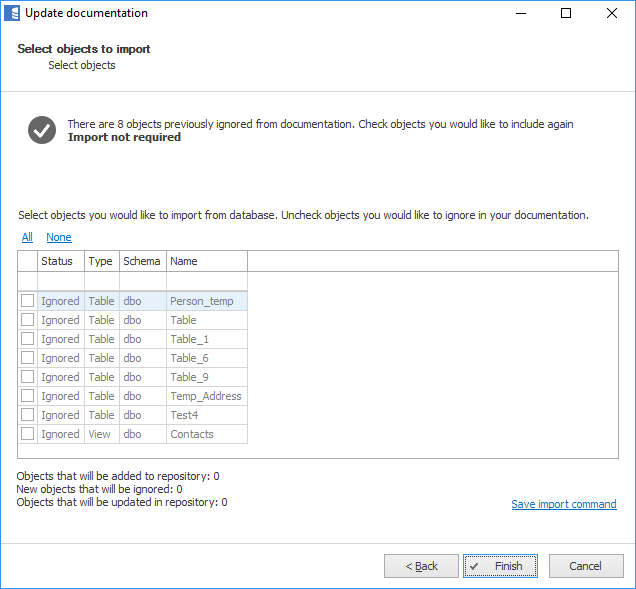 Objects that were added to the list but do not exist in the database anymore are not visible (but can be found in ignored_objects repository table).